"Welcome to what I presume is your first alien planet. Don't touch anything!" TECHNICAL SPECS: First aired Oct.14 2018. IN THIS ONE... The gang is dragged into a race on a dangerous, desolate planet. REVIEW: So this would be a run-of-the-mill Doctor Who episode under Chibnall, presumably. The second episode usually is. So what do we think? Well, it's certainly less serious than the first, but not overly so. There's certainly a lot of humor in the dialog which, while a bit more deadpan than in the recent past, is full of jokey banter and fast talk. As with the previous episode, there is a lot of location work, even for interiors, South Africa offering great vistas and environments, but also odd disused buildings. Aside from spaceship interiors and presumably that big circle, I'd be hard-pressed to say what was a build specific to the show, if anything. It all looks pretty gorgeous. And at the same time, like Chibnall's episodes from the past, it's also a throwback, a picaresque that reminded me of The Keys of Marinus and such, where we go from set piece to set piece on a quest for an object (often the TARDIS) or a race away from a threat. I'm not a big fan of that kind of structure, as it lacks focus (the villainy comes from various sources, including robotic bad shots and pretty neat animated bandages) and in this case at least, makes for a choppy story where even the editing seems severe. But I have the feeling we're still doing introductions, and the format is a way to show the team members and how they relate to proper adventures. And they ARE a team. Though having three companions would naturally allow for them to be split up and follow different threads, the episode refuses to do so except for the briefest times. The set-up, in fact, splits the team in two, but they are soon reunited, so its only purpose is to introduce two rival racers, Angstrom and Epzo, seeking not enlightenment but a ton of money. 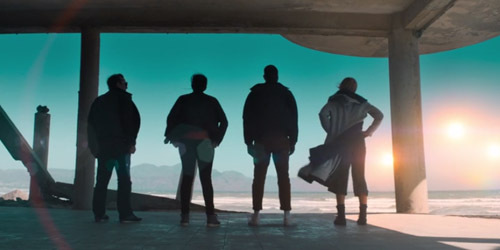 After that, everyone sticks together, and yes, Desolation is too dangerous a planet not to, but beyond that logic, one gets the sense that Chibnall sees the cast as a unit. The Doctor even says "we're stronger together", and goes on to prove it. Neither Angstrom nor Enzo could have survived the final gauntlet alone, and the "shared win" finale goes hand in hand with that theme. Things are less certain when it comes to the companions. There are several instances where the Doctor lets them figure things out, or even encourages them, but there's no way she couldn't have done so on her own. She makes them feel useful, but she could have done it herself. When Ryan decides to take matters into his own hands and play Call of Duty with the robot guards, it's a mistake that almost gets him killed (it seems he practiced video games more than he did the bicycle, but for the past two stories, Ryan has been a perfect Millennial re: digital technology). But here's what's happening: Strength in numbers isn't described as skills and actions so much as emotional support. Let me start with Yas, who the Doctor "forgets was there" aboard the ship, and indeed, the script isn't big on giving her anything to DO. But she gets two key EMOTIONAL moments. One is with Angstrom, drawing her back story out and revealing how the racer is doing all this for her family. The other is Yas patiently waiting for Ryan to slowly climb down a ladder (a beat played out differently with the Doctor later, but with the same point). I've no doubt her police skills will come up later, but here she's just an emotional anchor for other characters, and maybe the story tells us there's no "just" about it. Another important scene is between Ryan and Graham, the latter trying to be the former's support system, but the younger man having none of it. When the Doctor comes in, noting her boys are "figuring things out", on the surface she seems to be talking about how to make the boat work, but the subtextual boat is really their relationship. And then there's the ending where the Doctor loses confidence and the companions have to give her hope. Some have called this out of character for the Doctor, but with all due respect, how would you know what's in character at this point? In the recent path, the companion's role has been to keep the Doctor from becoming an "angry god". This kinder, more empathetic Doctor doesn't have the same darkness within her, but there's a darkness there nonetheless, one that is prey to despair perhaps. I like the potential irony that this bright character (look at long shots where she's the only one you can discern in a crowd of darkly-clothed people) might actually have a cynical streak, and merely talks a good game. And I like to think the TARDIS only appears because it detects the Doctor's hope. Graham is a more hopeful character than I would have imagined, and this too has something to do with the theme of emotional support. Though he seeks such support from Ryan (in vain for now), his is really Grace, even if she's gone. Her last words have not fallen on deaf ears, and Graham here is living his best life, the life she wanted for him. Though he's prone to dwell on the negative, he also tries to enjoy the fact that he's on an alien planet. This is a man who, whatever life he led before he got sick, has been given a second chance. He's living on borrowed time anyway, to borrow a phrase. So along with the Doctor, he gets some of the best patter, and if he has support on the team, it's from the Doctor herself. Ryan rejects his faux-dad, and Yas has yet to have a proper moment with him, so the Doctor it must be. And turns out, they're the most alike. As for Jodie Whittaker's Doctor, The Ghost Monument shows that, though she can run her mouth and has good comedy timing (I love the bit with the exchange rates, for example), she is also a Doctor who can stand the silence. She made dramatic moments work in the previous episodes by just listening and not talking, and here, after a lot of manic action in the ships and the tent, she underplays the scene in the boat, letting the guest stars shine in the telling of their stories, and putting a button on it without making a big speech or showing any outrage. She's lovely. It was obvious from his Moffat-era episodes that Chibnall liked the UNIT era, and so we have the proper return of Venusian Aikido, though it's less karate-like than it was in Pertwee's hands. Though a small package, she can still take care of herself. Mentally as well, able to control her innate curiosity long enough to tell the Remnants to go stuff a mattress, even though they obviously know something important about the season's arc/mystery (see Theories). And of course, we have the loving reunion with the TARDIS, coming sooner than expected, but the joy is palpable. Again, lovely. So let's talk about the new TARDIS. Like any new design, it will take getting used to. Personally, I think this Doctor required something a little more cozy. I do like, however, that the time ship seems to have a deep enough connection with the Doctor that it seems to have modeled itself on her current mood. That is to say, the big hangar space with gear-like roundels on the walls is strictly "Sheffield steel", and the big crystal pillars and rotor are based on her improvised sonic screwdriver design. It dispenses biscuits as per her first craving, and has a spinning white TARDIS as part of the console, as if a reference to the "ghost monument" of this very story. It's certainly a weird space, the strangest since the coral days. On the outside, it goes back to the black panel not seen since the fourth Doctor, and the paint job has a greenish tinge, another reference to Sheffield which has a green police box (as mentioned, but locals have been taking selfies there for a while). The other addition to the show is the relatively brief opening sequence, with its liquid take on the classic howl-round vortex, vaguely suggesting the Doctor's silhouette. It, and the deep thrumming theme, feel quite old school, but I do not dislike them. I've been down this road before, and every time a theme or sequence (or TARDIS) has felt wrong, it was always a case of getting used to them. And then the NEXT one will look or sound wrong, etc. THEORIES: So the question on everyone's lips is... where did the Doctor get Audrey Hepburn's or Pythagoras' shades if she's been struggling with empty pockets? My guess is the thrift shop and this is just some fun name-dropping à la Pertwee. Anyone else think she was handing him Capaldi's sonics for a second there? Oh! That's NOT the question you were wondering about. Ok! Well! Ah yes, the Timeless Child! Right! So the Remnants mention this to distract the Doctor, something they find in her head that she's not consciously aware of, and given their motivation, it may not be entirely honest to refer to it, but it does seem important. My theory is that this abandoned child is Susan and that we'll finally get to see her (either as Carole Ann Ford or a regeneration or both), possibly in the Stenza's statis chambers, perhaps kept safe from Time War there. The supporting evidence is that the Doctor referred to her family in the previous episode, even though that's hardly relevant to anything. And if Chibnall told Moffat of his plans as early as the making of Series 10, the Grand Moff might have put the picture of Susan on the Doctor's desk as foreshadowing. REWATCHABILITY: Medium - Functions as a second pilot for the new Doctor, putting the cast through its paces and introducing a new TARDIS look, though structurally, it's essentially a just series of set pieces. - Chibnall still does a great job sketching out characters very very economically; we had a pretty good idea what made our three guest characters tick within seconds. Though of course there was more backstory to reveal later (apparently Angstrom's money from Ned Devine's lottery ticket didn't last). - The only thing I didn't like about the Doctor's moment of doubt was that, if the TARDIS is known to be phasing in and out, then not seeing the TARDIS shouldn't be grounds for despair. More like it'd be grounds for waiting, worrying, and flashing the sonic. According to the lore, it appeared every 1000 days. If they couldn't possibly survive another day there, 2-1000 (depending) would have been quite impossible. But I don't completely disagree that this moment felt a big manufactured as presented. Dollars to donuts we haven't seen the last of Angstrom and Epzo--their exits were just too abrupt to satisfyingly tie off the story. I'm still worried that three companions are too many for stories of this length--see the 5th Doctor's era--and might lead to unfortunate ignoring of companions or giving short shrift to the actual story. In this case, the whole rally/race thing was so underdeveloped and so without tension, it should have been jettisoned or given some of the time spent on Ryan & Graham. 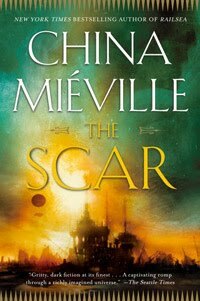 This was one of the decade's standouts for me, a good old fashioned adventure. Notice how we all need something different from an episode? Last week's episode was a "pretty normal" WHO episode on my "emotometer", while this week had something special. Perhaps there's a familiarity to the adventures I loved as a kid? Who knows. "According to the lore, it appeared every 1000 days. If they couldn't possibly survive another day there, 2-1000 (depending) would have been quite impossible." Sure, but ... well, let's put it this way. If I go to the bus stop and the bus isn't there the second I arrive, I don't know whether I'm early or late, only that I'm not exactly on time. Now, I can consult a bus schedule and my watch to determine the most probable explanation. I feel like the Doctor missed a step in panicking just because she didn't see the bus at the bus stop the second she arrived; she had no real reason to conclude she was late without checking her bus schedule (i.e. the sonic). Even if she'd been told that the Ghost Monument appears at exactly sunrise every 1000 days, that's hearsay, and a little bit of sonic action would be appropriate. I am quibbling much about one scene in an episode I was overall happy with. We're all on the same page there! "Susan" has been on everyone's prediction list every year since, ooh, 2005. At least no-one is saying that we're gonna see the Rani. Oh I've hear that one as well, but I don't put any stock in it. Even if I think the Rani would make a great villain for the 13th Doctor down the line.